Smoking is a well-known high-risk factor in lung disease, but did you know that it is a high-risk factor for foot and ankle problems? Yes, even smokers know all the risk factors but most are not aware of the problems it can cause in your feet. I recently treated and surgically repaired a midfoot fracture following a non-healing stress fracture. She was in her mid-fifties and had no medical problems., however she did admit to smoking. Before her surgery, I explained how she needed to stop smoking immediately. I informed her that the nicotine in the cigarettes decreases blood flow to the extremities. This can cause delayed or non-healing wounds and delayed bone healing. Her surgery required two incisions of the skin on the top of the foot that was closed with sutures (stitches). After her surgery, her incision did not close completely and she had delayed skin/wound healing where she had to come to the office weekly for wound care. Her bone was also slow to heal and I had to use a bone stimulator to enhance and accelerate her bone healing. Her wound and bone did eventually heal after the surgery but after four months. 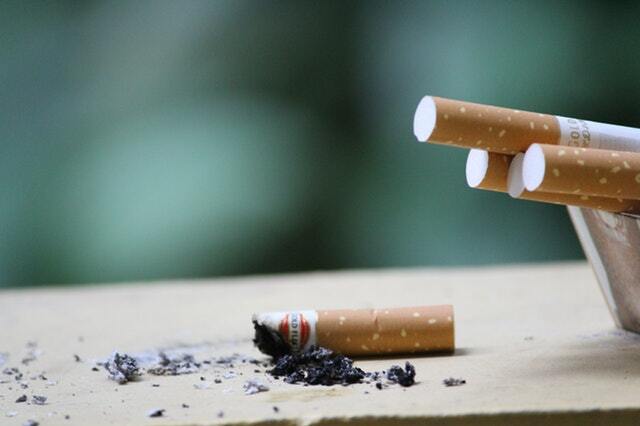 Also smoking is a risk factor in the development of blood clots in the legs called deep venous thromboses. Research shows that the sooner tobacco use is stopped the better, but there are benefits to stopping anytime. If you are a smoker, the first thing to do is stop as soon as possible with various smoking cessation aids, medicine or classes. Also former or current smokers should have their arterial circulation checked either from a podiatrist, cardiologist or primary care physician.